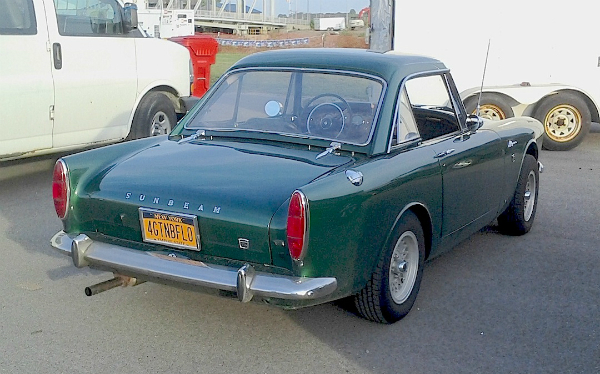 If this 1967 Sunbeam Alpine looks vaguely familiar to you, perhaps it’s because you saw it at one or more events around town over the summer. The license plate (translation: Forgotten Buffalo) may give you a clue as to its ownership. This one has the rarely-seen hardtop in place, which might… might, I say, make it useable as a winter driver. Lol. This photo was taken over the summer at Artvoice’s 25th anniversary party in South Buffalo. Jim Corbran, RRofWNY …and check out our Facebook page: Non-American Classic Cars The post RealRides Of WNY appeared first on Buffalo Cars.